How do you hang your grow lights? With the right tools, it is actually very easy! 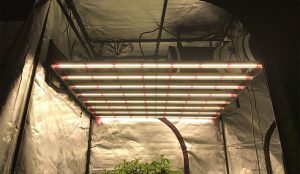 When you are hanging your grow lights, there are several different methods that you can use. The one you choose will be determined by the setup you have in place, and whether you have any available beams for your growing room. Those who have beams can install the lights, or a grow light mover system, right onto the beams. 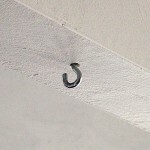 It is possible to use screws and hooks added directly to the beam. Just make sure they are strong enough to hold up the lighting system you plan to use. Those who do not have beams will want to purchase a frame that they can place over the top of the lights, to which they can then affix the lights. While this method might be more expensive since you will have to buy a frame, or frames, you will find that it provides you with more freedom, as you can more easily move the entire setup to a new area if needed. Regardless of which of these methods you ultimately use, you will want to make sure that you are able to adjust the height of the lights quickly and easily. This can often be done by hanging the lights from chains, which you can move, as needed. You do not want to lock the lights into place in a system that is unchangeable, as you might find that later you need to adjust the height for a different type of plant, or as your plants start to grow. You also need to think about the amount of space you have, along with the number of lights you will need for your plants to determine just how you will be hanging them. For example, if you have a 2’x2’ area that needs lighting, having a 250W lamp is generally all you need. 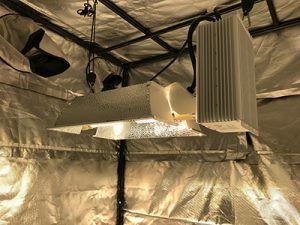 With a 4’x4’ area, you would want to have a bulb that’s between 600w and 1000w, and you need to make sure that it will cover all the plants with the light. For an area that measures larger, you would need several lights that will be the same equivalent. You also need to consider the height at which you should be hanging your grow lights. Different types of bulbs are going to give off more heat, and you need to make sure that you have plenty of space between the plants and the bulb, so they do not burn. A good rule of thumb is to place the less powerful HID lighting systems about 24” to 36” above the plants. For more powerful HID systems, you will want to have them between 48” and 62” above the plants. Those who are using fluorescent grow lights can keep them closer to the plants. They can be around five inches or so away from the plants. With LED lights, you can have them between 5” and 20” away. You should always consider what your type of plant wants when it comes to lighting with the various lighting systems and bulbs out there, to make sure you are not going to damage it. Because there are so many variables, it is not possible to provide the ideal distance for every type of plant here. Before you start to put together your grow room, you need to plan each aspect. Make sure that you take the time to understand what your plants need, what type of hanging system you will be using, and be sure you have all the materials on hand. A good plan that has been thought out will make the process of getting your lights hung easy, so you can start with your planting. View our full grow light hanger selection here!